Home / GST-Tally / How to Create Composition GST Invoice in Tally.ERP9? 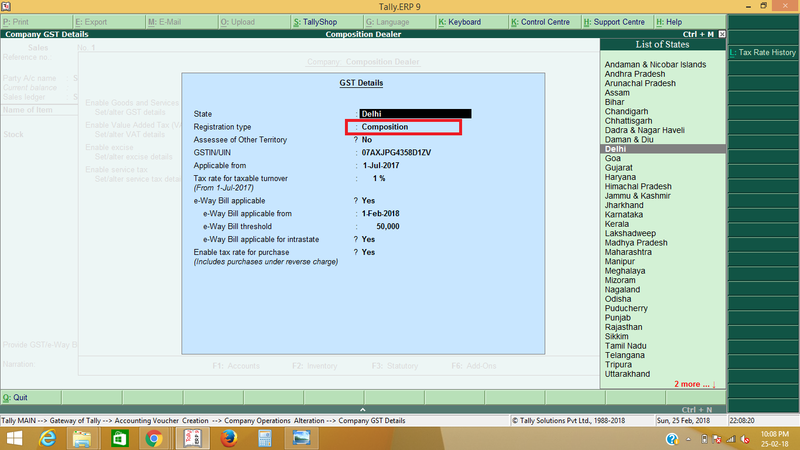 How to Create Composition GST Invoice in Tally.ERP9? As discussed in our previous post, Tally update their release to 6.4 version, which have facility to manage composite dealer accounting. 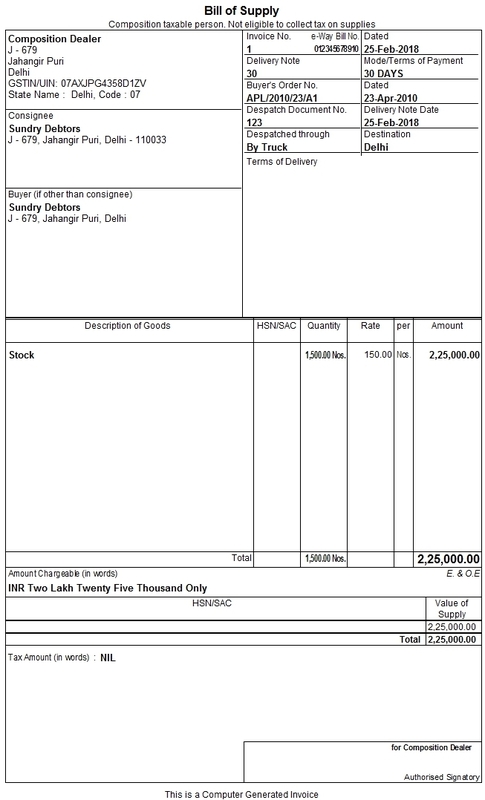 In this post we know about how to create Composition GST Invoice in Tally.ERP9. Before go to create GST Invoice for composition dealer we must recommend you to read above tutorials about create GST Invoice, because there is not much difference in Regular and Composite dealer GST Invoice. So first we need to setup company as per composite rule. Start for GST Accounting for composition you need to create your company in tally and setup GST in Tally. After setup as composition dealer. Create required ledgers like sales, purchase, debtors, creditors. You also need to create stock items as per your products. Do not enter Tax details because composite dealer does not charge any GST tax in his supply. 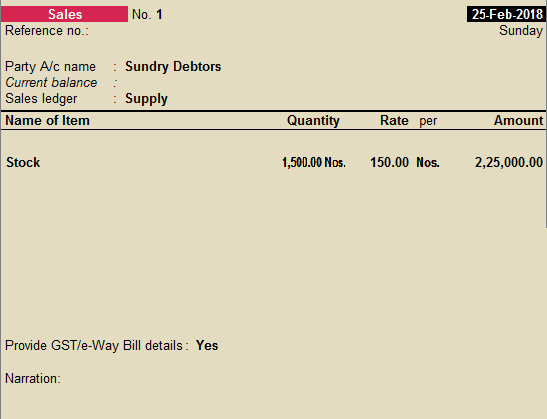 Enter Eway bill details as per information you have. Header of the invoice contain information of Composition dealer supply.